ii) If you get an error message, remove the cartridge and re-insert it. If still not accepted, remove the cartridge, shut the printer cover. Turn the printer off and on, re-boot your pc. Then re-insert the cartridge. Try re-insertion a few times until it shows ok. When cartridges are ok do not remove before replacement is required. 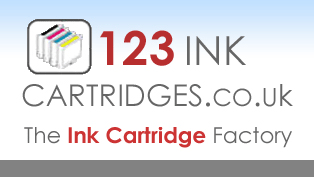 Many of our compatibles cartridges contain more ink than the original cartridges so cartridges should normally only be replaced when print output of any particular colour is depleated on the page. Ink monitor levels should generally be ignored as these are based on the original cartridge quantity of ink. Ink monitor/status levels shown on screen are electronically generated and determined by the number of prints and colours of documents printed. The actual level of ink in the cartridge is not measured so any ink monitor information should be regarded as advisory and not literal, especially when using high capacity compatibles. On certain models it is possible to over ride or disable ink monitors to enable extended cartridge life. Please search the internet for additional information if required for your printer model.